London's mayor, Sadiq Khan, raised the flag to raise awareness about the International Day Against Homophobia and Transphobia. Sadiq Khan, the mayor of London, flew the rainbow flag from City Hall on Tuesday to commemorate the International Day Against Homophobia and Transphobia. The event is celebrated every year on May 17 to draw attention to the violence and discrimination LGBT people experience internationally. 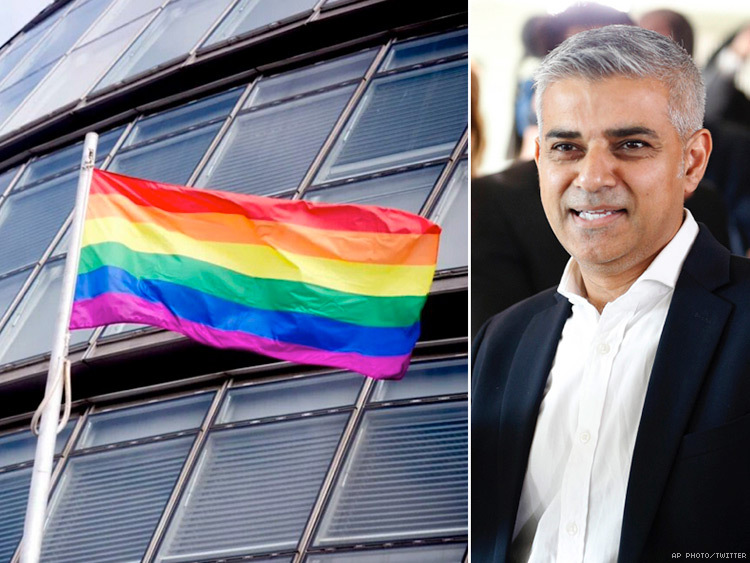 “I could not be more proud to help celebrate IDAHOT 2016 by flying the Pride flag here at City Hall," said Khan in a statement to U.K. LGBT outlet Pink News. The mayor told PinkNews that he has plans to make London a "more tolerant, fairer place to live" for LGBT people. As an outspoken pro-LGBT Muslim member of Parliament, Khan told Pink News that he had recieved death threats from hard-line Islamists. In 2013, he joined his fellow Labor party lawmakers in voting to embrace marriage equality in England and Wales.